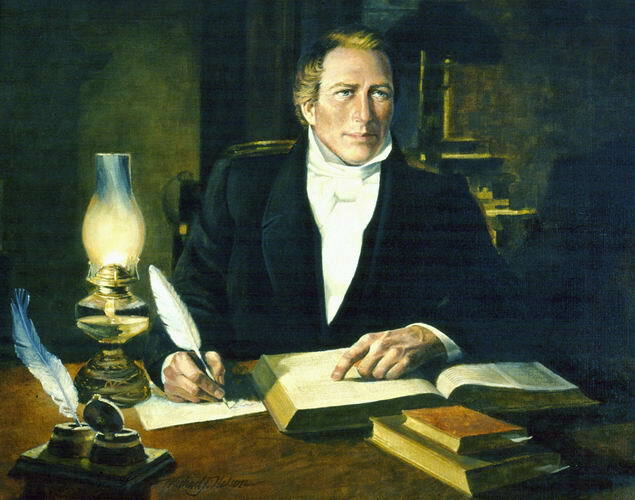 How is it Joseph Smith saw God and lived? 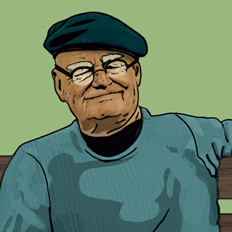 Gramps, I was wondering how Joseph Smith saw God and lived? 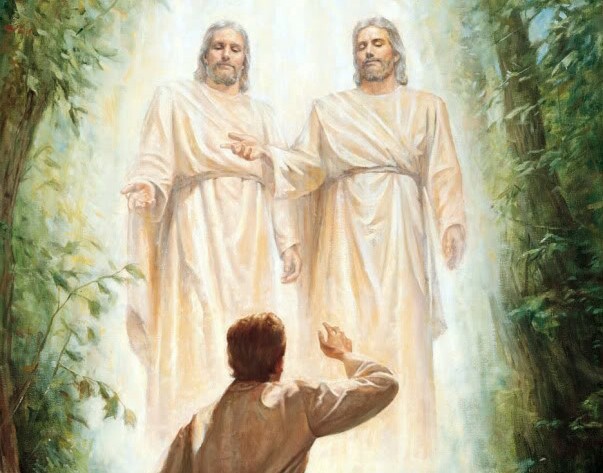 Here are two scriptures: Exodus 33:20, John 1:18…my Mom is Mormon, and gave me a copy of a LDS living magazine that said Joseph Smith actually saw God, how can I believe that with these scriptures? This is an apparent contradiction, but is appears so only because all of the conditions and circumstances associated with the event have not been recorded. We cannot assume that one account is correct and the other false. We can only assume that both are correct, but that more information is needed to make the written accounts consistent with one another. Genesis 32:30, And Jacob called the name of the place Peniel: for I have seen God face to face, and my life is preserved. Exodus 19:11, And be ready against the third day: for the third day the LORD will come down in the sight of all the people upon mount Sinai. Exodus 24:11, And upon the nobles of the children of Israel he laid not his hand: also they saw God, and did eat and drink. Numbers 12:7-8, My servant Moses is not so, who is faithful in all mine house. With him will I speak mouth to mouth, even apparently, and not in dark speeches; and the similitude of the LORD shall he behold. Deuteronomy 34:10, And there arose not a prophet since in Israel like unto Moses, whom the LORD knew face to face. 1 Kings 11:9, And the LORD was angry with Solomon, because his heart was turned from the LORD God of Israel, which had appeared unto him twice. Job 19:25-26, For I know that my redeemer liveth, and that he shall stand at the latter day upon the earth: And though after my skin worms destroy this body, yet in my flesh shall I see God. Isaiah 6:5, Then said I, Woe is me! for I am undone; because I am a man of unclean lips, and I dwell in the midst of a people of unclean lips: for mine eyes have seen the King, the LORD of hosts. Matthew 5:8, Blessed are the pure in heart: for they shall see God. Acts 7:55-56, But he [Stephen], being full of the Holy Ghost, looked up stedfastly into heaven, and saw the glory of God, and Jesus standing on the right hand of God, And said, Behold, I see the heavens opened, and the Son of man standing on the right hand of God. Revelation 1:12-18 And I turned to see the voice that spake with me. And being turned, I saw seven golden candlesticks; And in the midst of the seven candlesticks one like unto the Son of man, clothed with a garment down to the foot, and girt about the paps with a golden girdle. His head and his hairs were white like wool, as white as snow; and his eyes were as a flame of fire; And his feet like unto fine brass, as if they burned in a furnace; and his voice as the sound of many waters. And he had in his right hand seven stars: and out of his mouth went a sharp two edged sword: and his countenance was as the sun shineth in his strength. And when I saw him, I fell at his feet as dead. And he laid his right hand upon me, saying unto me, Fear not; I am the first and the last; I am he that liveth, and was dead; and, behold, I am alive for evermore, Amen. 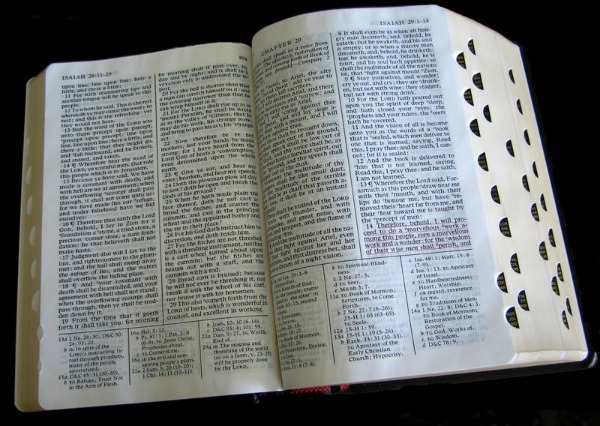 Did the changes made in the Joseph Smith translation of the Bible change the King James version or did it also change the original Hebrew script? Since the Savior brought Lazarus back to life, wouldn’t he be the first person resurrected? Bible, a Book of Books How can a single woman have a husband in heaven if the Bible clearly states there will be no marrying? Did the changes made in the Joseph Smith translation of the Bible change the King James version or did it also change the original Hebrew script? Since the Savior brought Lazarus back to life, wouldn’t he be the first person resurrected?